Home, but working on my next cruises, this fall on Silversea’s SILVER WHISPER, which will be in the Antillies, and you can’t talk about these islands without talking about sugar and the horrific Triangle Trade of slavery. 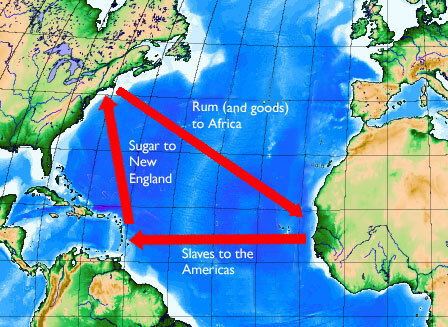 So I’ve been thinking about, and writing about sugar and slavery in islands like Grenada, Barbados and Curacao. This entry was posted in Uncategorized and tagged Amazing Grace, John Newton, Richard Detrich, Slavery, Triangle Trade by Richard Detrich. Bookmark the permalink.